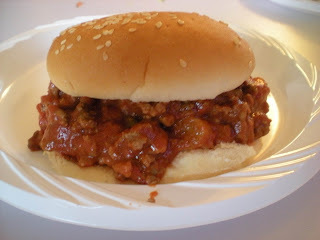 Sloppy Joes is a popular American dish. Many Americans experience this dish when they were a kid. In my case, I never experience Sloppy Joes as a kid and neither Quebecers have heard of it also. I saw many Sloppy Joes recipe online and, they all look sloppy and delicious. I decided to make this dish because my Brazilian friend is leaving Montreal in 2 weeks. She needs to experience some great North-American dish before her departure. I also brought a friend from Vermont to approve my dish. It seems that her mother usually put Corn Flakes in her Sloppy Joes. 1. 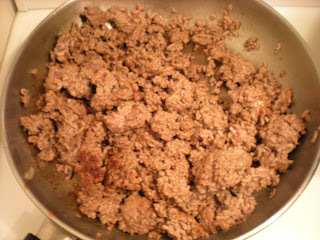 In a large skillet, brown ground beef over medium-high heat and set aside. 2. In the same skillet, saute diced pepper for 5 mins, then add onion and celery, saute until tender for 5 more mins. 4. Add the remaining ingredients except for the ground beef. 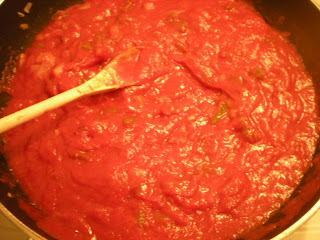 Simmer for a few mins and stir frequently. 5. Return the ground beef and let it cook for a few mins. Serve on hamburger buns.